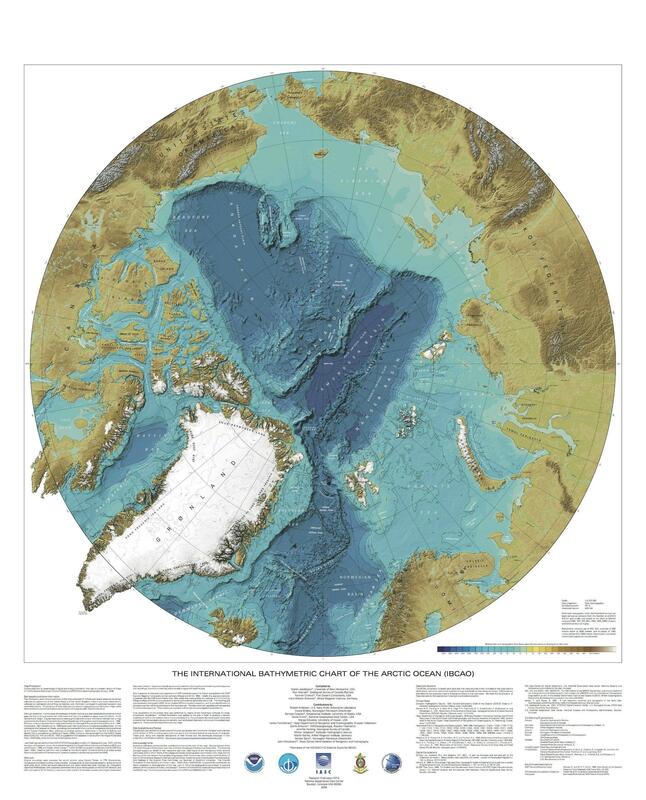 National Geographic atlases from 1999 through 2014 shows how Arctic ice has melted over time. What first comes to mind when you think of the Arctic? Ice? Polar bears? Climate change? But just what are we mapping in the Arctic? Geographic boundaries, climate change, ecology, geology, trading routes, oil exploration, the natural environment and even the research that is taking place in the north of 60°. Maps are one of the most effective forms of communication ever developed. They chart territory, they’re practical and communicate ideas. So that’s why this list of Arctic maps is the best place to begin learning about the Arctic. If you want answers about the Arctic, look no further. These visually-inspiring Arctic maps will show you the way. In Norwegian, ArkGIS stands for Arktisk Geografisk Informasjons System. The World Wildlife Fund delivers a webmap to simplify the Arctic. Stakeholders, decision makers and general public get the whole picture with the ArkGIS – Mapping the Arctic Landscape Webmap. From economic boundaries to human activity.. to the natural environment… ArkGIS puts together piece-by-piece each element with its Arctic maps. Thousands of research projects are taking place in the Arctic. This is why the Arctic Research Mapping Application was developed. It supports Arctic science by displaying research projects, showing available data and exploring possible collaborations. Projects range from biological, geological, meteorological to oceanography. Arctic vegetation, glaciers, permafrost, terrestrial biomes and tree lines can be displayed. The Arctic maps has ship tracks, medical facilities and arctic stations are available for reference. Users can navigate to areas of interest and explore research projects by location, year, funding program, investigator, discipline, keywords, and other variables. Early explorers thought the oceans were bottomless. After the invention of the sonic depth finder, suddenly our view of the oceans changed. They certainly weren’t bottomless… nor, were they flat. The featureless ocean became dynamic with trenches, ridges and abyssal plains. This Arctic Ocean Floor map first appeared in the October 1971 issue of National Geographic. The detail is extraordinary of such submarine terrain as continental shelves, abyssal plains, ridges, and fracture zones. 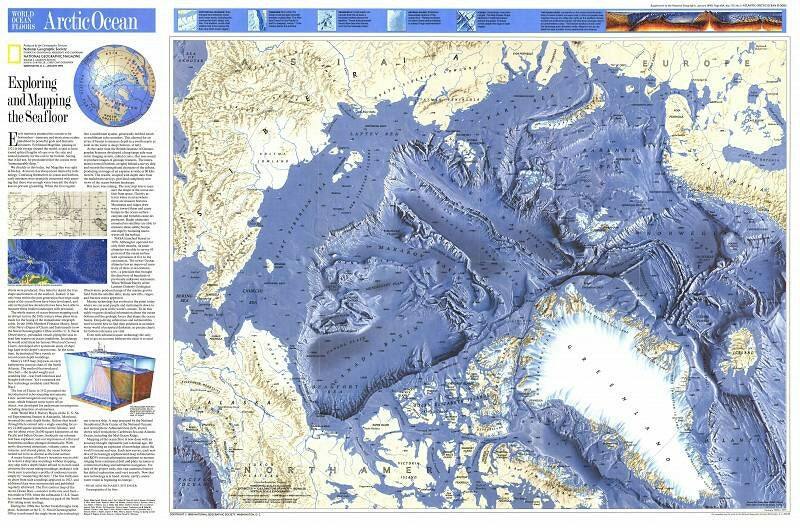 Land masses and the ocean floor are illustrated in stunning relief in these Arctic maps. 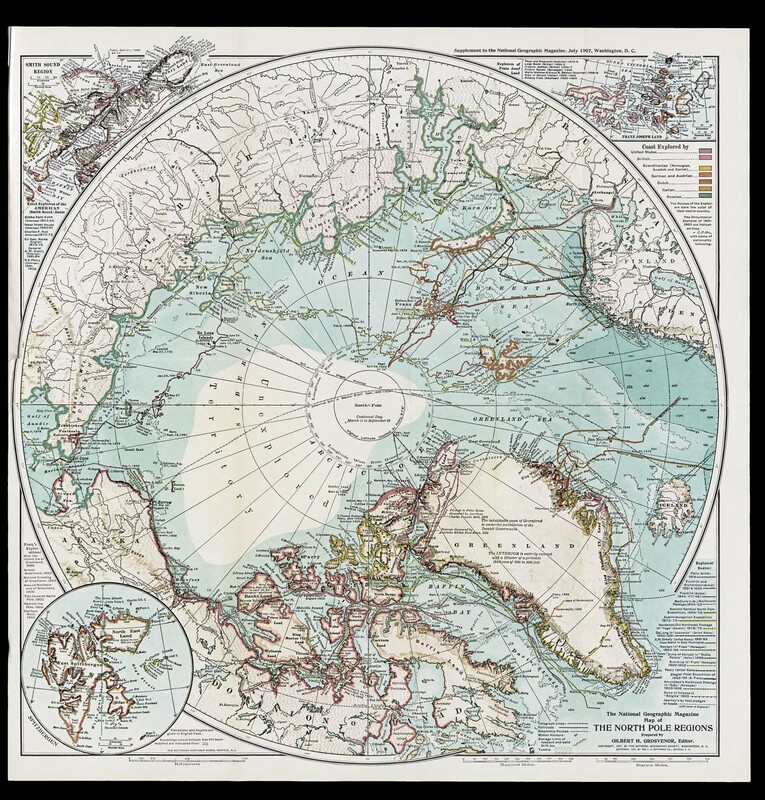 This Arctic map was compiled using simple photogeologic principles and visual interpretation from a variety of free data sources. The data sets included enhanced magnetic data, LANDSAT imagery and topographic (DEM) data. The Arctic Risk Map is filled with base data from a variety of sources. It offers meteorology, ocean, biological, wildlife, search and rescue, geographical and activity as map data. But where these Arctic maps excel are in their environmental and safety indexes. Environment Vulnerability Index: A location and season specific index for environmental vulnerability of marine resources with respect to oil spill as external stressor. The vulnerability assessment was performed for the different ecological uses in about 100 areas of heightened ecological significance within the 17 Arctic Large Marine Ecosystems. The Safety and Operability Index (SOI): The SOI is based on risk influencing factors such as sea ice, visibility, temperature, distance from search and rescue, etc. It gives an aggregated score for each Arctic region for safety and operability factors in these regions. Values are compared with the benchmark chosen by Norwegian Sea. The Arctic is in flux for ‘who’ is claiming ‘what’.. The US, Russia, Canada, Norway and Danish are all staking their territory. But no one can tap the Arctic until all countries come to an agreement. Mineral extraction, natural gas, as well as potential shortcuts for shipping routes – the Arctic may be one of the last great frontiers for human development. NASA has some models forecasting ice-free summers in the Arctic Ocean. Disappearing sea ice jeopardizes mammal populations like polar bears. Polar bears have less time to hunt because of the early breakup of sea ice. The result is a shrinking polar bear population. Seals, walruses and seabirds have shorter periods for nesting and feeding.